Please report bugs and send your comments to itranslator@omkarananda-ashram.org. Compatible with Windows Vista & Windows 7. No memory problems in case of large files. 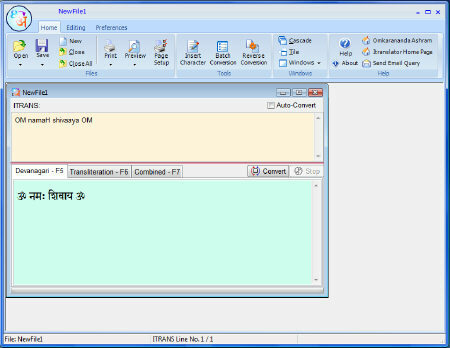 'Insert Devanagari Character' Tool now with Transliteration characters also. Auto-Convert feature on individual windows.